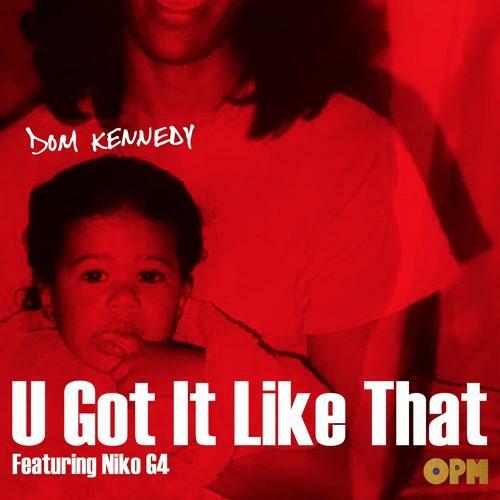 Dom Kennedy returns with the new song "U Got It Like That" featuring Niko G4. Dom Kennedy has been relatively quiet since he last dropped off the sequel to his Best After Bobby mixtape last September, but thankfully that drought ends here today. With a new project on the way called Los Angeles Is Not For Sale Vol. 1, Dom decides to give fans a taste of what’s to come by sharing this new song called “U Got It Like That” featuring fellow LA native Niko G4. Take a listen to the Mike Free-produced cut and share your comments on it below.